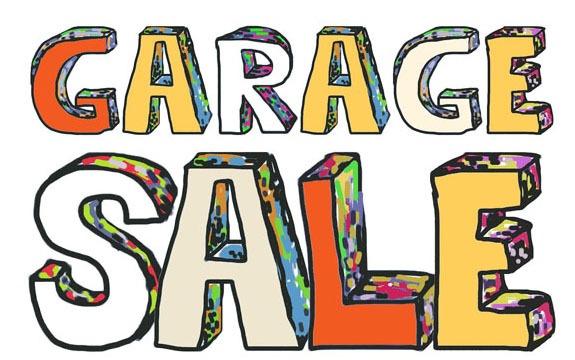 Less than one week to the Artsy Fartsy Garage Sale! There is now a Facebook Event page. Feel free to post pictures of anything you’re going to sell and definitely feel free to invite all your friends! Russian painted, wooden eggs, including some miniature ones in little, wood baskets. That’s all I’m going to list for now. I might tempt you with more later in the week. Just know there will be a TON of stuff for sale. So, you’re in the mood for a road trip, but can’t take the time off work. Why not drive up to Whistler? ArtWalk 2015 is on right now, until August 31. There’s an eclectic array of work by more than sixty local artists displayed in forty pop-up galleries throughout Whistler’s cafes, hotels, shops, community centres and restaurants. And, hey, it’s such a beautiful drive. And, don’t forget the Harmony Arts Festival in West Vancouver this week. Always a fabulous event. Hey, folks, be aware of the water restrictions on right now. Our water supply is dangerously low and everything you can do to conserve this invaluable resource helps. Don’t forget our animal and plant friends, either. They’re having a very hard time right now. If you can, put out bird baths and bowls of water. Take your grey water and hydrate the trees. It’s important. – B.C. student makes her grad dress from old homework, then auctions it for charity. 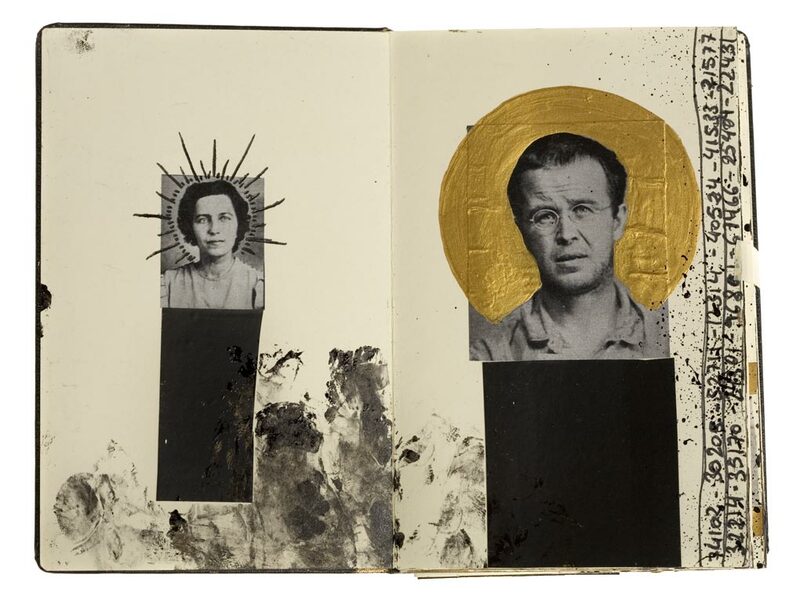 – Laura Lein-Svencner uses found objects in her assemblage work. Check out her gorgeous collage pieces, too. – Going to Florianopolis in Brazil? Why not stay at Cabana Floripa; a house made completely from recycled materials. Another Artsy Fartsy Garage Sale!! Well, the last garage sale was such a roaring success we’ve decided to hold another one, while the sun is still shining. (Yes, it will eventually rain). If you want to join us and sell off some of your excess craft supplies or the fabulous art you created, feel free. I’ll be creating a Facebook Event page and, once that’s done, I’ll post the link on this blog. As well, there will be ads on Craigslist and Kijiji, flyers in all the coffee shops along Main St. and signs on the main arteries around the neighbourhood. If you have a blog or newsletter please forward the info. Last sale I had lots of inquiries about renting tables, how to display items, etc. etc. Just know, this is truly a garage sale. It takes place along the sidewalk in front of my apartment building. There’s no major organising on my part, other than all the advertising. You can bring a table or just put your goodies on a blanket. Price everything or not. Organise the items professionally or just have a rough-and-tumble display. It’s all up to you. We had an absolutely amazing turnout last time and sold tons of stuff, so seriously think of participating. Questions? Email me at the usual rubydogart address or contact me through this blog. 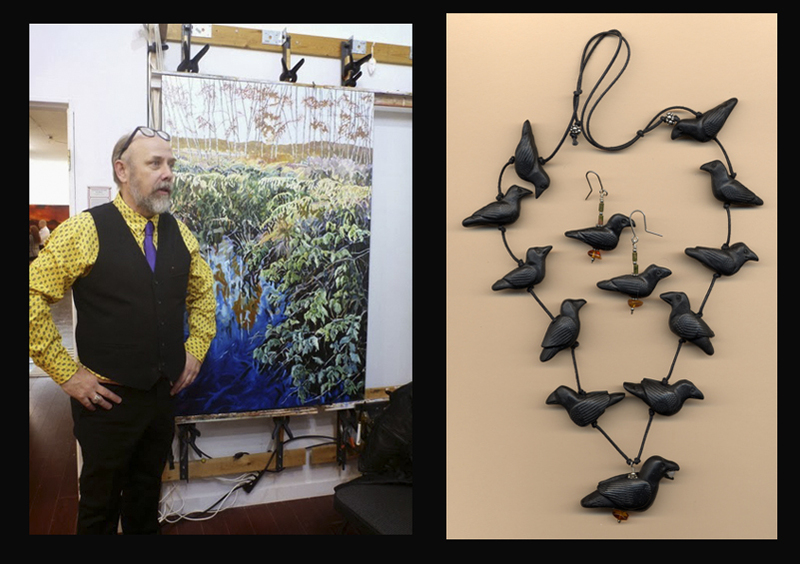 Vancouver Island Workshops has just posted their fall schedule. If you live on the island or want to go there for workshops, these look fantastic. They fill up fast, so register early. Click on the image above to go to their site. Ray Ophoff (oil paintings) and Joan Tayler (polymer clay) will be having an open studio this Saturday from noon to 5:00. Joan is giving a polymer clay demo at 1:00. Check it out. As well, the kind folks at Renzo’s Café, 1301 Commercial Drive (at Charles) will be featuring some of Ray’s work all month and the first fifty people to tell them “Ray sent me” will receive a delicious coffee beverage of their choice on his tab! This is a reminder about the Artsy Fartsy Garage Sale, tomorrow. Drop in, say hello and peruse the goodies! Corner of Quebec St. and E. 11th Ave. There will be absolutely tons of stuff for sale. The usual RubyDog items, plus vintage photo albums, a Print Gocco set, Ultra-Thick Embossing Enamel, antique dolls, letterpress drawers, mica, Geotype (aka Letraset), funky jewellery, spinning fibres, Lazertran, rusty metal bits, skeleton keys, a Daylab, assemblage materials, old unused butter and cereal boxes, retro Mister Softee book covers, fabric sample books, watch faces and hands, old Lite Brite pegs and templates in their original boxes, mid-century linen postcards and much, much more. I’m also going to be selling off some of the art that used to be on display in the store, including 2 wonderful pieces by Karyn Gartel. As much as I love all this art there is just no space in my home for it. Ya’ gotta like a blog called Try Something Fun! And, that’s all folks! See you tomorrow (I hope). Hey, folks, if you’re coming to Main Street today for Car Free Day, stop in and say hello. I have a table between 13th and 14th Avenues. The sun is shining and it would be wonderful to see you!